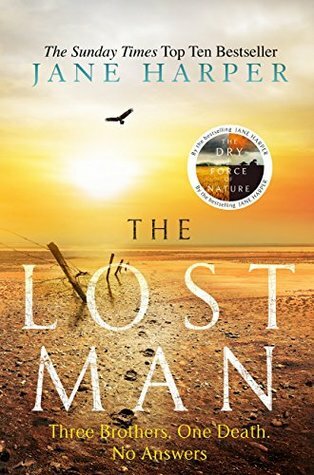 When I was asked to review The Lost Man by the publisher, I was more than looking forward to diving into the book. Once again, Harper has again written a book that delves into a close-knit community, where you or your families actions can have a lasting impact. After reading the synopsis of the book, I at first thought that The Lost Man of the book was both the mysterious stockman, whose grave Cameron was found at and also Cameron himself. I should have known better, for it became clear that this could also be applicable to Nathan, Cameron’s elder brother; for Nathan was and had been adrift for a number of years, ever since a snap decision had resulted in his exile from the nearest town. The fact that the town is the nearest place to get supplies and civilisation, Nathans life is more of a struggle than most. The book is centred around the mysterious death of Cameron, for being born and bread in the Outback. He should know what to do should he become stranded in the middle of nowhere, so his death is a real puzzle. Nathan begins to dig a bit deeper, knowing that something doesn’t add up. It is through his investigation that a number of skeletons are unearthed and we are given an insight into Nathan, Cameron and their younger brother Bub’s upbringing. It was these details that gave depth and background to Nathan and went a long way to explain why Nathan reacted to certain situations when he was younger. The mystery of Camerons death played out in an almost leisurely and organic way. The fact that it is almost impossible for anyone to be responsible for his death, adds to the mystery. I will admit, I did have a couple of suspects early on in the book and these were pretty firm right up to the day of the funeral. Even then I was still sure that my suspects had something to do with it. (I was way off). Those who were behind Camerons death took me by surprise and I have to admit, I thought that their actions while justified were gut-wrenching. As a main character, Nathan was easy to empathise with. Life has dealt him quite a few rubbish hands and though he has still plodded along, you can see that it is beginning to wear him down. This is more prevalent in the fact that his son is now going to higher education. Camerons death has a profound impact on him and you can see him almost re-evaluate his own life. Nathan is a sympathetic character and I did root for him. The conclusion of the book was just and well earned. It never felt like it had been added on or was though of at the last minute. There is also a sense of hope, as if the ghosts of the past had been chased away, allowing Nathan and those close to him to begin to move on with their lives. 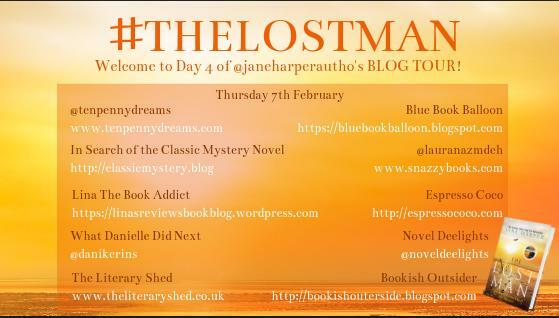 The Lost Man was a brilliant read and one that was so easy to get into. Harper draws you in quickly to the point that you don’t realise that you are halfway through the book. She knows how to write a character that is very easy to empathise with and to root for.